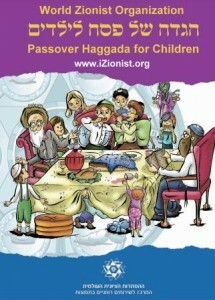 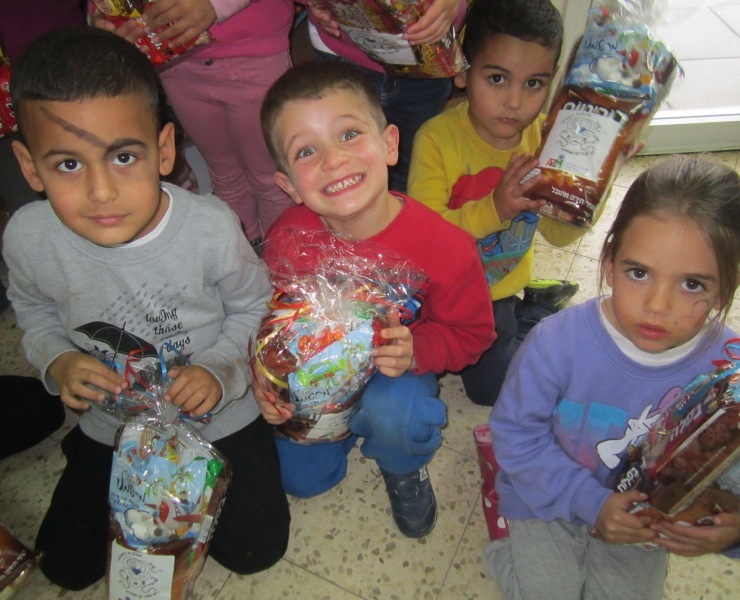 To spread the joy of Purim, the American Zionist Movement helped collect donations to send mishloach manot (traditional Purim gift baskets) to Israeli children and soldiers who might otherwise not have received any. 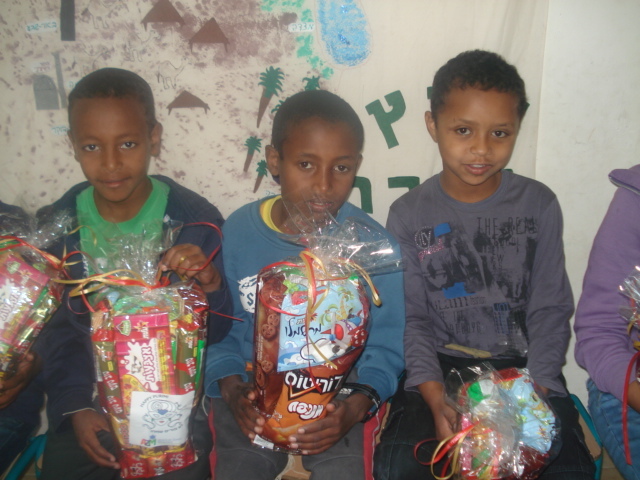 AZM donated more than 450 mishloach manot to those most in need in Southern Israel. 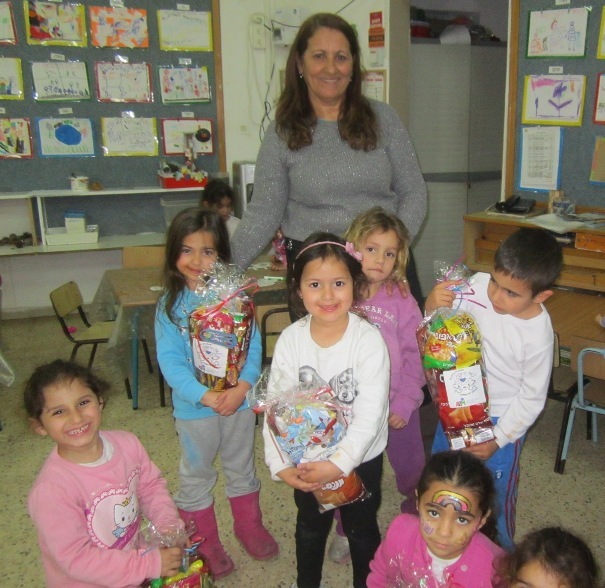 Children at the Kehillat Netzach Israel Preschool in Ashkelon received approximately 140 mishloach manot. 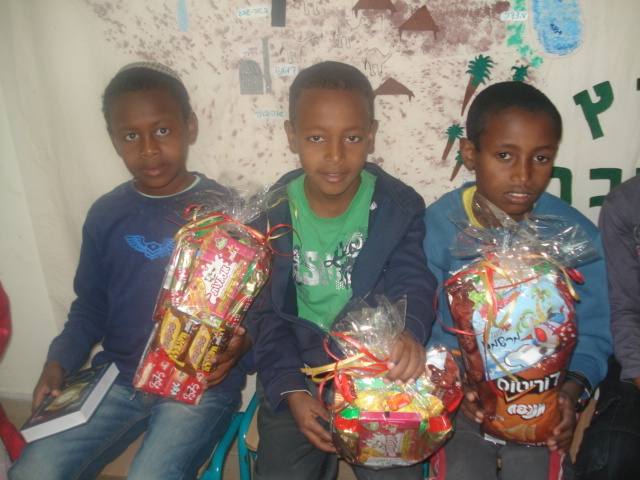 The baskets were a welcome surprise and cheered up the children, who were staying in shelters because of Code Red sirens from rocket attacks. 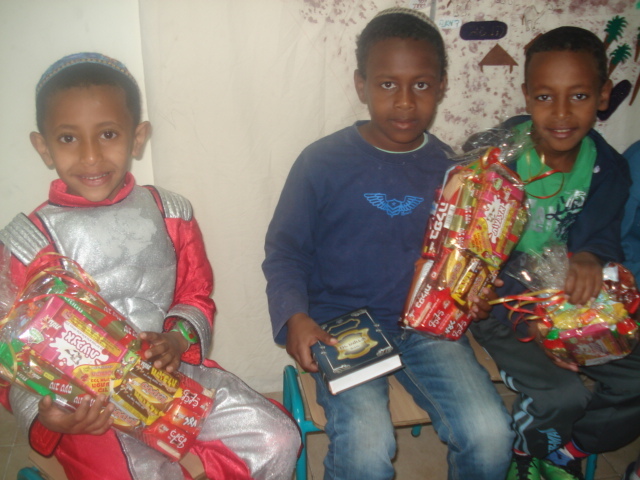 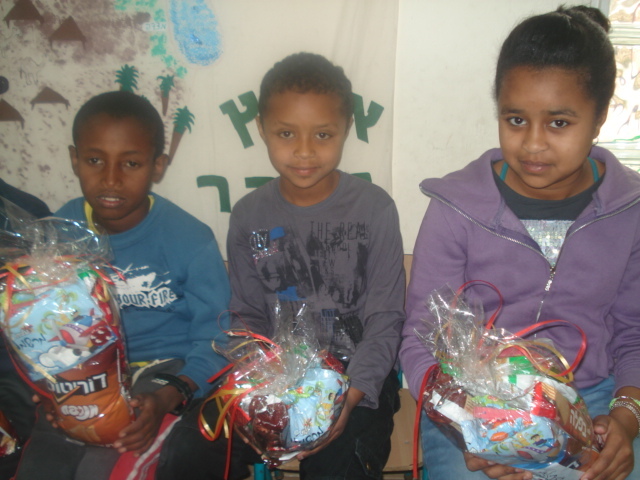 AZM also distributed approximately 80 mishloach manot to Neve Hanna, a children’s home in Kiryat Gat, and 70 to Ethiopian children at the Beit Canada Absorption Center in Ashdod. 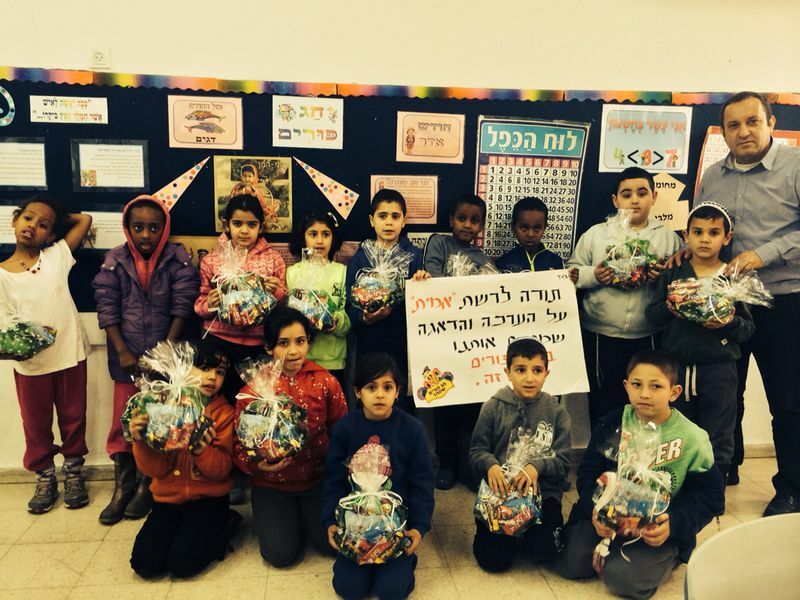 More than 350 mishloach manot were additionally sent to 1st and 2nd graders at AMIT schools in Kiryat Malachi. 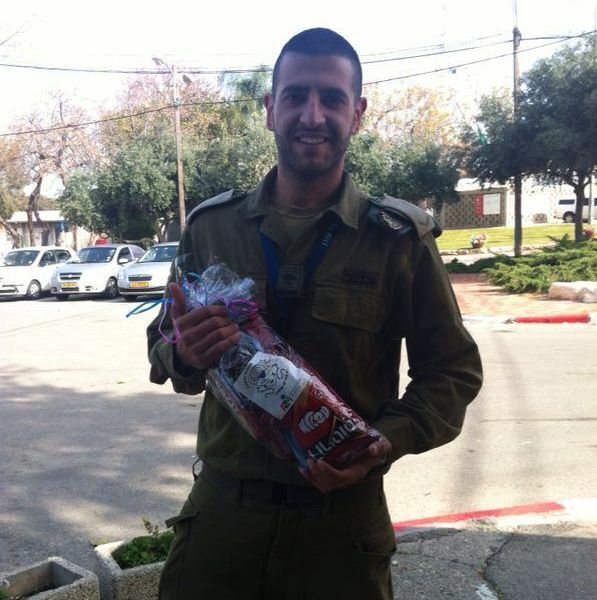 As always, AZM was proud to include Israeli soldiers in this campaign. 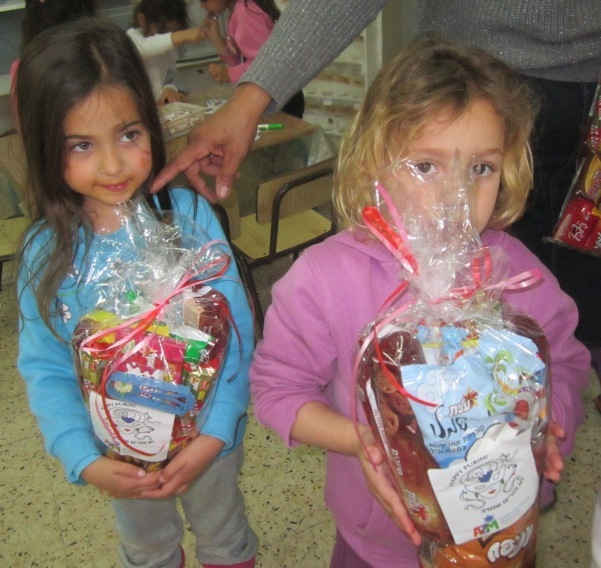 A special intelligence unit received 140 mishloach manot packages and even visited preschoolers during rocket attacks to reassure them and to participate in Purim activities. 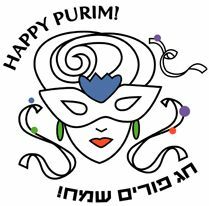 Special thanks to AMIT, Mercaz USA, Temple Sinai in Tenafly, New Jersey, for their generous donation, and to everyone around the country who helped make this a special Purim for so many. 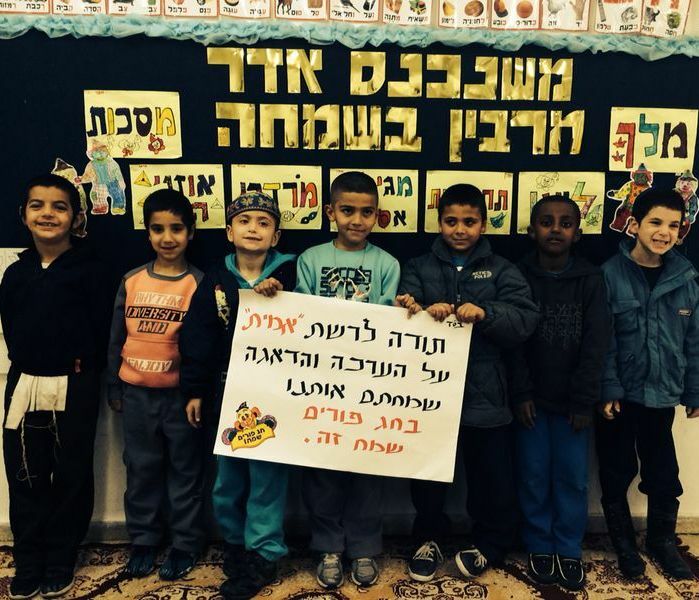 To help AZM continue its mission of supporting and promoting Zionism, donate here.